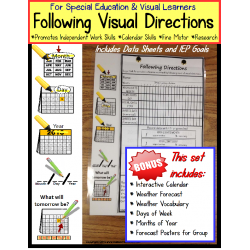 Having seen such great success in my classroom with all of the FOLLOWING VISUAL DIRECTIONS activitie.. 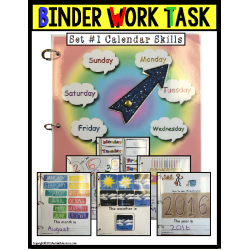 Seven interactive Calendar Binder Work Task pages to reinforce Calendar Skills, weather, Days of the..
As part of our "STAND UP AND LEARN" activity series, our Calendar Read & Write task allows stude..
Daily Chart-Date, Month, Day, Weather and Mood This is a great resources for preschool and studen..
Days & Months Basic Matching for students with autism and special education needs, which are eas..
Days & Months Spinner Game for students with autism and special education needs who are developi..
Days of the Week & Months of The Year Life Skills Bundle for students with autism and special ed.. 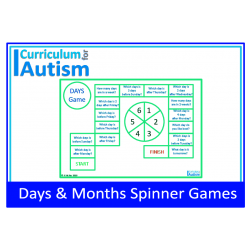 These boards can be used for any starting point with either days or months. 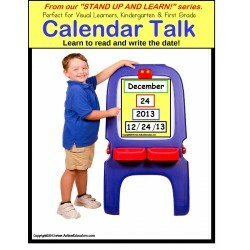 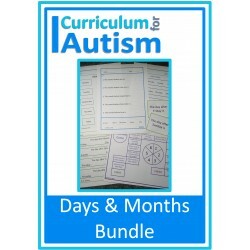 Use the board with or wi..
Days & Months worksheets and clip cards life skills pack for middle and high school students. 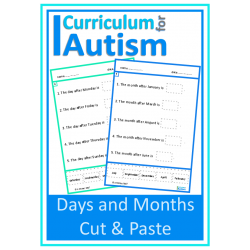 ..
Days of the Weeks & Months of the Year cut & paste worksheets. 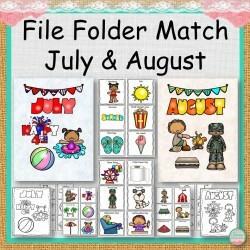 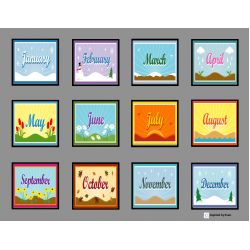 10 No Prep worksheets: Da..
July and August is a set of file folders that shows images that represent each of the months. 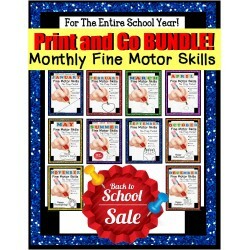 Also i.. 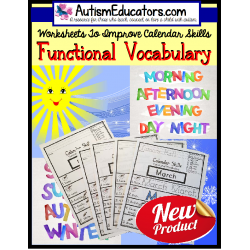 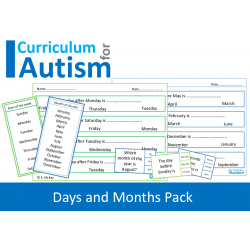 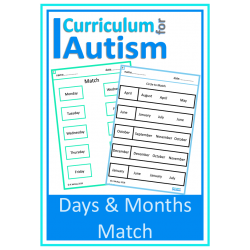 This PRINT AND GO Fine Motor Skills Monthly themed set is perfect for occupational therapy, autism, ..
FUNCTIONAL Calendar VOCABULARY Worksheets with DATA for Autism and Special Education- This function.. 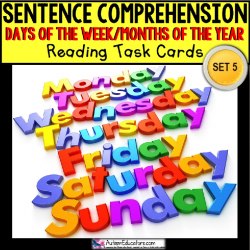 SENTENCE COMPREHENSION Task Cards DAYS OF WEEK and MONTHS “Task Box Filler” set for children with au..